Anihan proudly congratulates two of its graduates who won in the 2013 Philippine Culinary Cup! Anihan 2006 Graduate Maryjoy Cueto was awarded silver in the "Dress the Cake" category. Maryjoy works at the Mariott Hotel Manila's chocolate room. Maryjoy Cueto garners silver for the "Dress the Cake" category of the 2013 Philippine Culinary Cup. 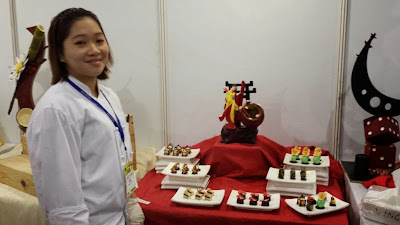 Camille Manzanero-Chua garnered bronze in the pralines and petit fours category. 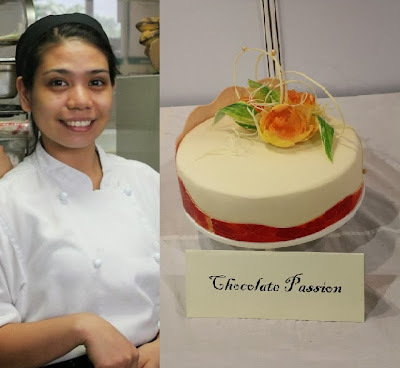 Camille graduated from Anihan in 2007 and is Commis 3 at the Mariott Hotel Manila's pastry department. Camille Manzanero-Chua wins a bronze in the 2013 Philippine Culinary Cup. Camille and Maryjoy were both recipients of Anihan's two-year scholarship program in Food Service. Every year, Anihan provides scholarship grants to financially challenged female high school graduates. Eighty scholarship slots are available for the SY 2014-2015. Read about the Anihan scholarship. The Philippine Culinary Cup is now the most prestigious culinary competition in the country and the only one endorsed by the World Association of Chefs Societies (WACS). It is held within the annual World Food Expo (WOFEX).